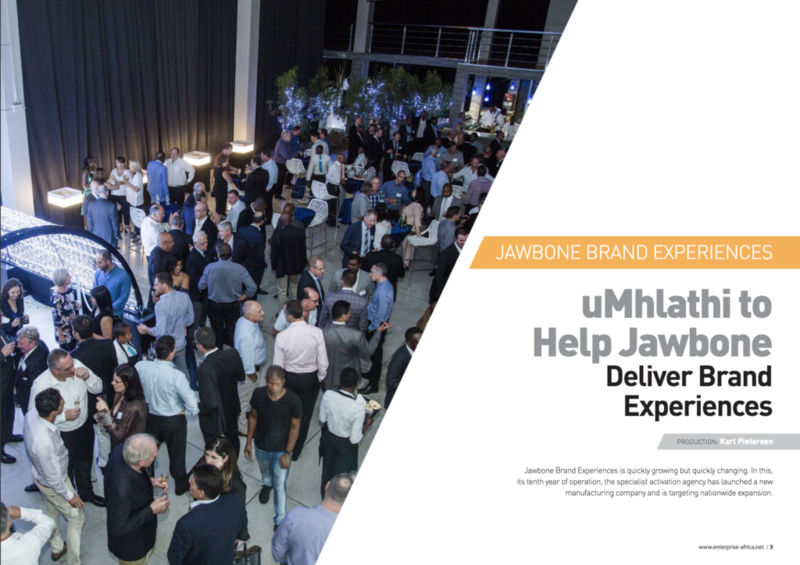 For the second consecutive year, Jawbone was featured in Enterprise Africa. A leading business publication. Our CEO, Sven Reinertsen, was interviewed and spoke about our partnership with level 2 BBE company, uMhlathi and our exciting move to our new premises.